Virgin Gorda (BVI), 7th March 2015. 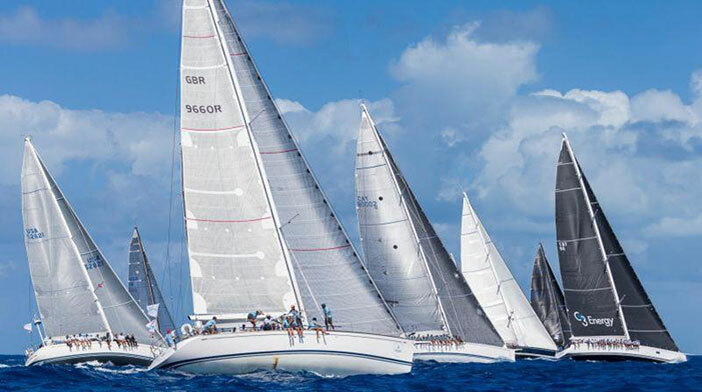 The second edition of the Rolex Swan Cup Caribbean drew to a close today with a fourth day of picture perfect sailing for the 21 participating yachts. Overall winners of the event, organized by the Yacht Club Costa Smeralda and Nautor’s Swan in collaboration with Rolex, were Swan 80 Selene in Class A and Swan 53 Music in Class B. Both received Rolex timepieces and were awarded the Rolex Swan Cup Caribbean Trophy. Among the Class B boats sailing under CSA it was the Swan 53 Naia’a, owned by Bob and Kristin Beltrano, that claimed the top spot. The entire week was characterized by brisk easterly winds of approximately 20 knots and today was no exception. Following a single start for all classes the larger Class A boats went on to complete a 25 nautical-mile course that brought them west to Great Camanoe Island and back to the finish off Necker Island while the Class B yachts rounded the Dog Islands for a 21-mile course. With no change in the prevailing conditions, all three group winners claimed bullets on corrected to time to extend leads they had secured from the start of the event. Owners and crews celebrated at the final prize giving on the YCCS lawn and enjoyed a final cocktail at the Club before bidding each other farewell until the next appointment with the Rolex Swan Cup in Porto Cervo from 12 – 18 September 2016. For further information visit www.nautorswan.com and www.yccs.com. Full results are available online. Video highlights are posted on the YCCS and Nautor’s Swan YouTube channels. For broadcast quality video please contact the YCCS or Nautor Press Office.